It can be hard finding vegan work boots for men and women that are actually comfortable and work. You just need to know where to look, and be prepared to spend a bit extra. I spent a few hours researching all the non leather and reinforced toe work boot options out there, and this page summarizes the best of the best. I’ve divided it up into men’s and women’s for convenience. I don’t want to assume you know a ton about work boots, although you may. So if this is a basic topic for you, skip ahead. Otherwise, there are 2 main types of “strong” reinforced toes in work boots. 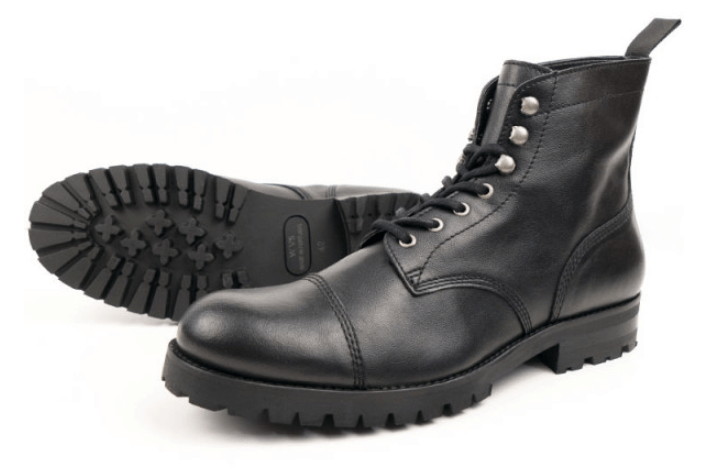 Steel toed boots are the classic one, consisting of a literal piece of steel protecting your toes. Contain no metal and are lighter – can be a mix of plastic, kevlar, or carbon fibre. Composite toes are very strong and more than enough for 95% of jobs out there. 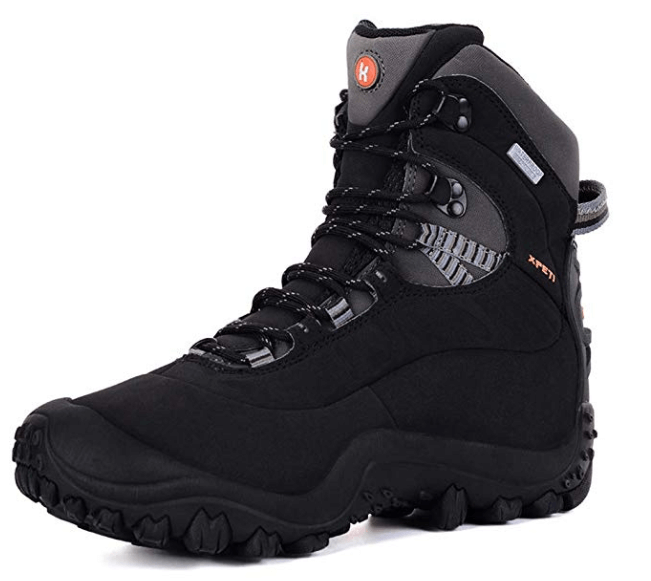 But, for certain jobs where high impact punctures are possible, steel toed boots are usually better. You’ve likely been told this specifically if it applies. I mention this because it’s very hard to find vegan steel toe boots. 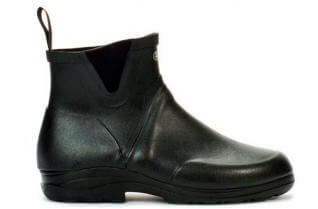 Most of the vegan boots designed to be strong are composite toe because it’s trendy and better for most people. With that out of the way, let’s look at the boots. Those are in no particular order, since the best boot for you will likely depend on things like style preference and your specific job. Will’s might be the most well-known vegan work boot brand, who make their boots in Portugal and have a focus on ethical crafting. They make very high quality work boots that are still pretty stylish. Versatile style for professional or casual settings. These do not have a reinforced toe, although they are quite sturdy. If you specifically need toe protection, choose a different option with a composite or steel toe. Here’s a second option from Will’s (all their boots are vegan) that is a bit different style from the one above. Again, no toe protection, but a very high quality boot. 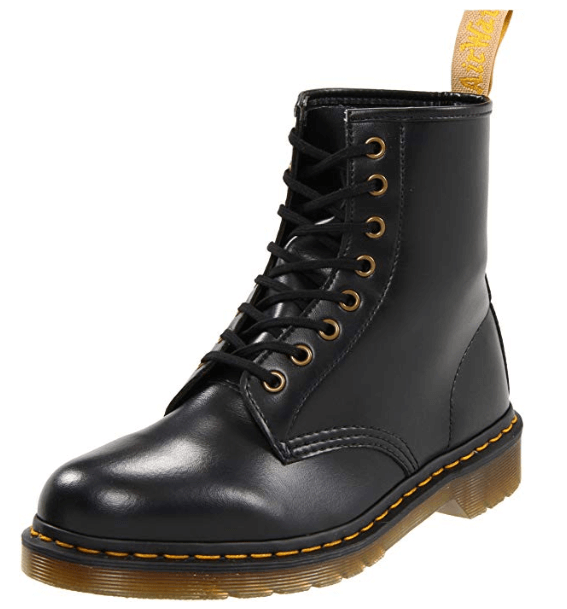 Dr. Martens has a line of vegan boots. These have classic “combat” style which still looks quite nice and is unisex. This is a great comfortable vegan friendly shoe/boot that is ideal if you’re going back and forth between an office and factory. They may not be the prettiest shoe, but they’re a solid unisex boot that’s worth considering. Bog’s has a few synthetic, vegan friendly options that are great for dirty outdoor work. 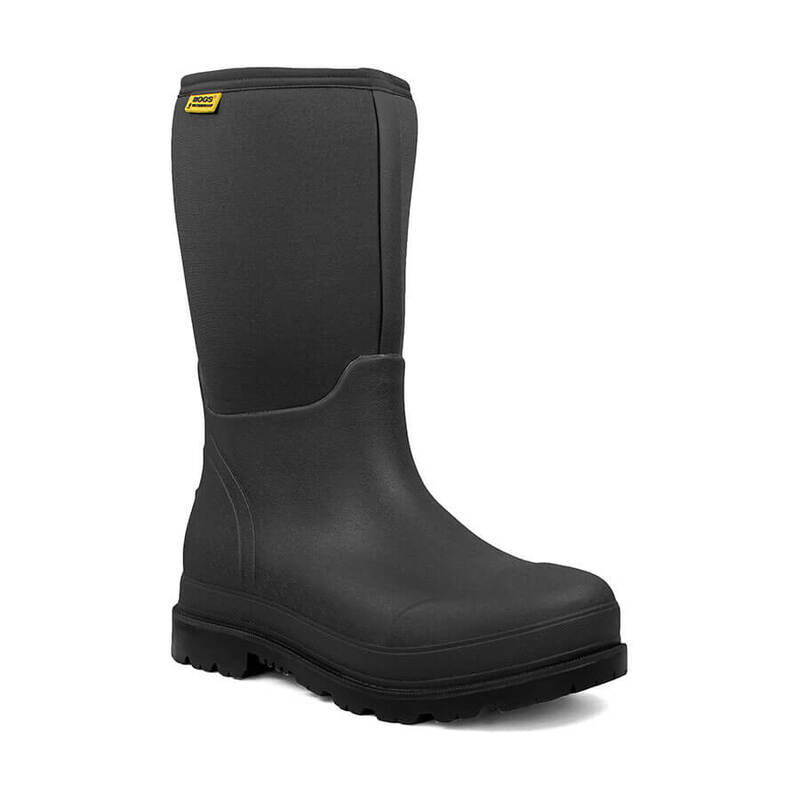 Not the most versatile boot, but if it fits your job, it might be the perfect option. 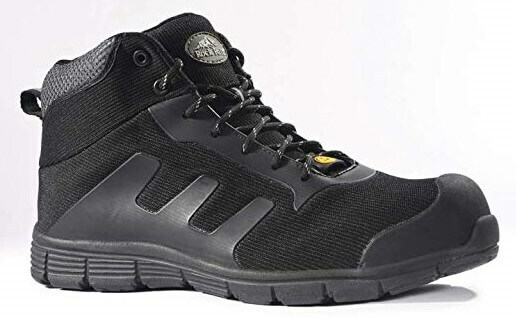 This is the strongest composite toe vegan work boot on this list, ironically sold by “steel-toe-shoes.com”. It’s ANSI/ASTM I75 & C75 Approved, which means it’s been tested to withstand 2,500 lbs before it starts to crack or deform. For most situations, this is way more than enough. This is the only high quality vegan work boot I could find with a steel toe. You’re welcome to keep looking if you need a steel toe work boot, but I don’t think you’ll find one. Their website is ugly, but the company has a great reputation for quality, and I believe ship worldwide. These are made in England and comply with ISO 20345:2011. Women don’t quite have as many women-specific vegan work boot options, but the good news is that most work boots are unisex. Again, these are in no particular order, since there are so many specific attributes you may be looking for. These are one of the unisex options with a strong composite toe. It’s a very versatile shoe if you’re changing work settings often. These boots are specifically designed for women and just so happen to be vegan. No toe protection, but good if you work outdoors in wet conditions. 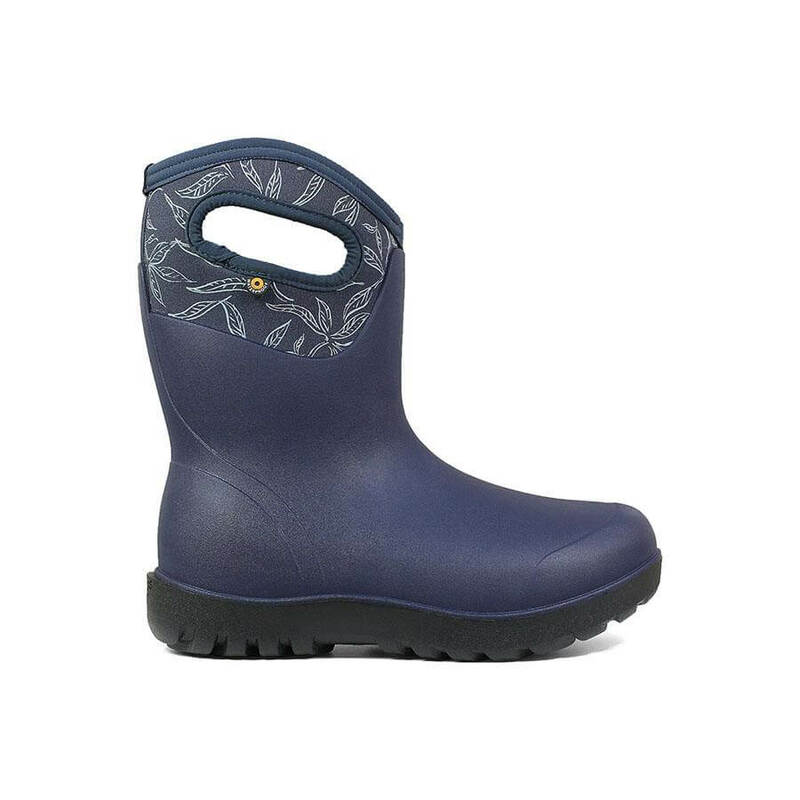 This is a fairly stylish and versatile boot that happens to be unisex. Nice Shoes is a fully vegan brand based out of North America. 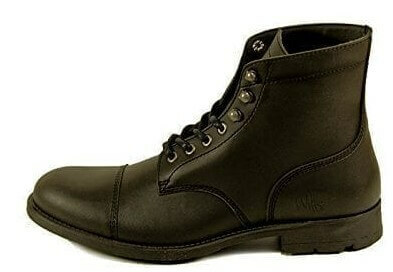 These are some very sturdy and still good looking work boots that should last you quite a while. These are designed for women and contain no leather or suede, so they are vegan friendly even though the manufacturer didn’t necessarily intend them to be. 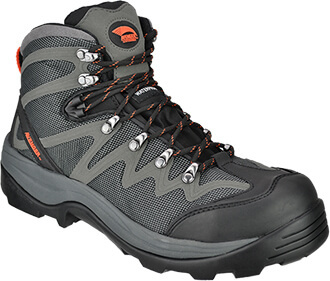 These are primarily hiking boots, but can be appropriate for certain outdoor jobs that require getting messy. Last but not least is the only steel toe vegan work boot I could find (that was actually good), which happens to be unisex. Again, their website is ugly, but the company has a solid reputation for quality. 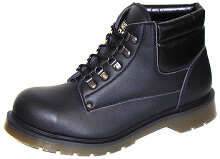 For women in dangerous work environments it comes down to these boots or the Rock Fall composite toe safety boots.